Dolomit is grounded on the belief that Trentino represents an ideal location to reflect on global processes thanks to its history as a borderland and its exceptional natural features. We craft each program with a particular attention to the environmental and cultural context, which offers inexhaustible critical insights and can be fully lived in everyday life. Our programs and activities ensure individualized attention in dynamic settings, and take place in high-quality facilities. Let’s discover the learning experiences that can fulfill your curiosity! Dolomit is launching a new semester program in Trentino to offer students the opportunity to discover Trentino and Northern Italy. The core curriculum revolves around three active learning courses that explore the interdisciplinary topics of sustainability, heritage and creativity. Participants are introduced to the most up-to-date approaches to the study of these fields and use the region – Trentino and Northern Italy at large – as a laboratory to gain first-hand experience. Meetings with experts, site visits and direct participation in innovative projects are an integral part of our offerings. An Italian class allows participants to gain a basic knowledge of the language and better understand the culture of their hosting community. Trento, the capital city of the province, is our students’ home for the duration of the program. A top-rated international university, excellent public transportation and a variety of options for leisure and entertainment make Trento the ideal location to study, explore and enjoy Italy and Europe. Educational excursions to the Dolomites mountain range, Lake Garda, Verona and Venice are included in the curriculum. Students are hosted by local families, which provide an excellent opportunity for cultural immersion and exchange, or in student apartments. Dolomit partnered with BCA Study Abroad to offer an innovative summer program in Trentino. Students enroll in Sustainability, Food and Landscapes in the Italian Alps and/or Heritage, Memory and Identities in a European Borderland, for a 3- or 6-credit program. Introductory lectures are offered online for 1 week, and then participants travel to Italy for a 3.5-week on-site session. Our dynamic curriculum includes interactive classes, meetings with local experts, visits to relevant sites, hands-on laboratories. 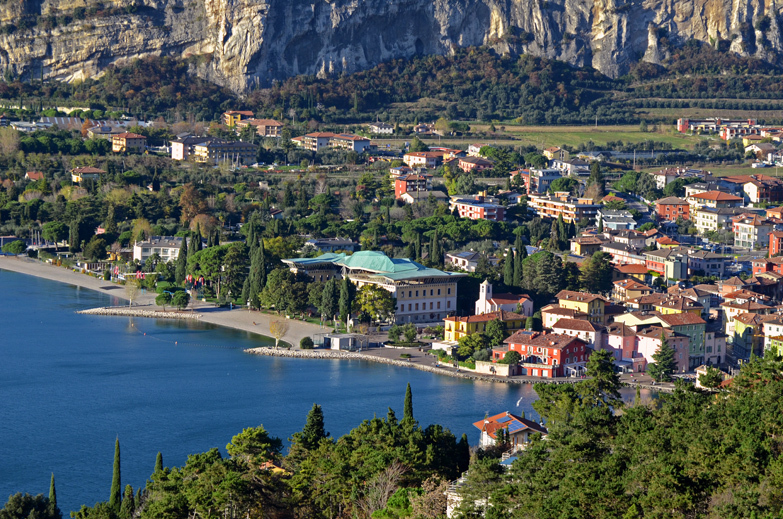 Students reside in the spectacular Garda Trentino area, where the largest Italian lake nestled in the Alps creates a unique environment: here dramatic mountain landscapes and gentle valleys are blessed with the mild Mediterranean climate, and host a vibrant community. The program includes educational trips to the cities of Trento and Bolzano, as well as a residential lab in the Brenta Dolomites mountain range, a UNESCO World Heritage site. Dolomit established a partnership with Ingarda Trentino – the destination management organization of the Garda Trentino area – to offer package study holidays in the field of Italian language and culture at competitive rates, starting in April 2016. Each 1-week course includes 15 hours of in-class teaching with specialized teachers, who adopt dynamic and interactive methods to improve communication skills and tailor classes to meet students’ needs and proficiency. Participants have the opportunity to integrate their learning experience with thematic activities in the fields of art & culture, food & wine, sports & outdoors, during which they can expand their knowledge of the language in real situations, as well as take advantage of the resources of the region. Dolomit is also available to organize personalized Italian courses and activities, in accordance to the specific needs and goals of the participants. Starting from € 520.00 per person. This offering is administered by Ingarda Trentino. For further information and reservations, please visit the Ingarda Group Offers webpage and contact Luisa Visintainer, the person in charge of Marketing for Ingarda, at booking@gardatrentino.it. For personalized educational activities, please contact us at info@dolomit-learning.it. Dolomit is available to plan and carry out learning experiences tailored on personal and institutional needs. Trentino and the neighboring provinces of the Dolomites are an ideal setting to learn Italian as well as to explore topics in the humanities and social sciences. Dolomit relies on its expertise to design educational activities in a variety of formats (from one-to-one lessons to articulated programs) to be conducted in Italian, English, Spanish, and/or Portuguese. Please feel free to contact us and discuss your educational needs. Dolomit is looking forward to cooperating with professors and universities from around the world to organize ad hoc study abroad programs and study trips in the Dolomites area, all year round. Thanks to its deep connection with the territory and its relationships with local institutions and service providers, Dolomit is able to efficiently take care of all the practical needs for a successful educational experience. In addition, Dolomit can provide complementary academic activities to enrich the program curriculum, i.e. thematic excursions as well as courses in the human sciences and Italian language and culture. To discuss your necessities and expectations, please do not hesitate to contact us anytime.